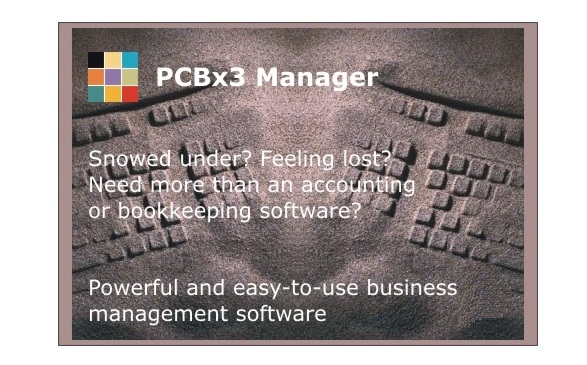 The PCBx3 Manager Application is a Windows based multi-user client server Business Management & Accounting Software. The system documentation here is designed to provide a comprehensive reference manual to operate the system effectively. The documentation discusses each PCBx3 Manager main menu item in detail including screen images and where appropriate relevant examples. The sections covered in this part of the documentation are shown on the left. The PCBx3 Manager System documentation uses the following conventions. Words highlighted in italic & green can refer to forms, form buttons and other key words. They do not link to other parts of the documentation. Links to other parts of the documentation are shown in blue. Important information is shown this way. Highlighted information is shown this way. The PCBx3 Manager Aplication is the property of Blake Developments Pty Ltd and is protected by copyright. Any reproduction in whole or in part is strictly prohibited. Unauthorized reproduction or distribution of the program, or any portion of it, may result in severe civil and criminal penalties, and will be prosecuted to the maximum extent possible under law. Copyright © 2000 - 2018 Blake Developments. All rights reserved. The following are trademarks of their respective owners. The PCBx3 Manager system is a Windows-based client/server application. To operate the PCBx3 Manager system a familiarity with the Windows operating environment is a prerequisite. The following software and systems are required to run the PCBx3 Manager system. Please refer to the main PCBx3 Manager Support page or click here. Thank you for visiting the PCBx3 Manager | Online Documentation.